are the inheritors of the Prophets. Dr Maulana Fazlur Rahman Ansari (1914-1974) was an outstanding theologian & philosopher of the Muslim World. His broad knowledge of the modern sciences together with his Islamic learning and insight enabled him to expound on Islam in a manner that was inspiring to both the masses and the intellectual elite. As a missionary, Maulana Ansari (ra) inspired Muslim minorities with fresh faith & zeal. During his five world missionary tours he affiliated 40 organisations to the World Federation of Islamic Missions. The Muslim minorities in Latin America, Africa, South East Asia and elsewhere were confronted by a hostile, non Muslim majority. Their only defense was their sentimental attachment to Islam. Ansari's (ra) intellectual exposition of Islam gave the bright young Muslims some hope that Islam, as a dynamic religion, can withstand the challenges of the twentieth century. He knew that Muslim minorities could not respond to the challenges of secular modernity unless their religious scholars were conversant with modern thought. This is why he established the Aleemiyah Institute of Islamic Studies in Karachi where subjects such as philosophy and psychology were also taught. 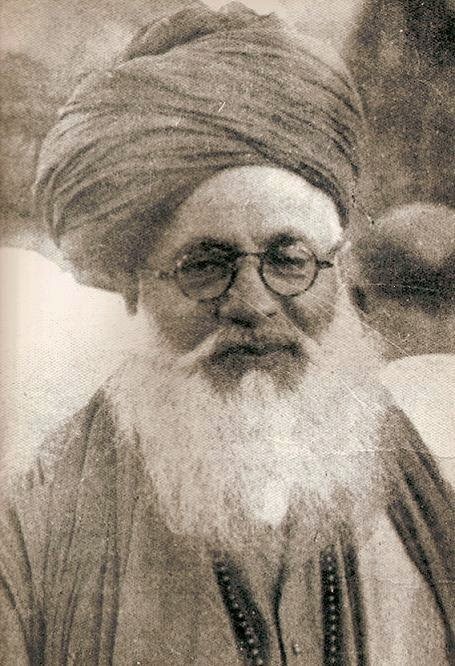 In relation to the different schools of Islamic thought, such as Barelvis, the Deobandis and the Ahl al-Hadith, Maulana Ansari (ra) had a braid outlook. Although he had Berelvi schooling, he was tolerant towards others schools of thought. In fact, when assumed the headship of the Aleemiyah institute, he publicly announced, "I am neither Berelvi nor a Deoband, but simply a Muslim". His eminence was not inclined towards indulging in the theological polemics of the day. This is what divided the Muslim society in the Indo-Pakistan subcontinent, and this is what also divided the Muslim community of South Africa, especially on the Kwazulu-Natal and Transvaal. This is why we will never find him condemning any specific Muslim group in any of his lectures. He was far too magnanimous for that, even if he disagreed with the orientation of a particular school. His Eminence would display this tolerance and compassion towards all people, even in the work situation. He is always polite and respectful when addressing people, even to his subordinates. Its is said that he would gently, and with a warm smile, request his workers to complete a task. And even if the task is delayed, he would continue to be gentle and patient, even if it would cause him much loss. His family traced their linage back to the companion of the Holy Prophet, Khalid Abu Ayyub al-Ansari (ra), who is distinguished for his hospitality and at whose house the Holy Prophet (saw) stayed after his migration. In 1921, at six, the young boy memorised the Quran at the Madrassah Islamiah Muzaffar Nagar, U.P., India. In 1933 Maulana Ansari (ra) enrolled for his BA degree at the Aligarth Nuskim University, and majored in English, Philosophy and Arabic. Concurrently with his studies at this institution, he did the Dars-e-Nizami course under the tutorship of Prof. Hazrat Maulana Syed Sulaiman Ashraf, Chairperson of the Department of Theology. Here he studies Islamic studies including the Quran, Hadith, Kalam (theology), and Tasawwuf (Islamic Spirituality). By 1937, Maulana Abdul Aleem Siddiqui (ra) had sent him on his first missionary errand to Singapore and Malaysia. Here he presented Islam with forceful eloquence, and combated the aggressive missionary activity of non-Muslim. To this end, he edited the English Islamic journal Genuine Islam and became the first director of the All-Malaya Muslim Missionary Society. In 1939 he obtained a scholarship to go to Germany for higher studies, but the Second World War put an end to his studies in Germany. Thus, he completed the Bachelor of Islamic Theology in his own country in India, and then pursued his MA degree. He graduated with distinction for his Masters, and majored in metaphysics, Ethics, Psychology, and classical Islamic Philosophy. After working for five years on his doctoral thesis under the supervision of Dr S.Z. Hasan of the Aligarh University, his supervisor had settled in Karachi just before Pakistan was established in 1947, and passed away soon there after. Another misfortune that occurred was when Maulana Ansari (ra) migrated to Pakistan in November 1947, his library was looted at Amristar, and in the process his thesis got destroyed. His Eminence lost years of his painstaking and valuable research as Dr Hasan remarked: âFor some time he has now been working with me on a philosophic-religious theme for his doctorate which I am sure is going to be a great dissertationâ. 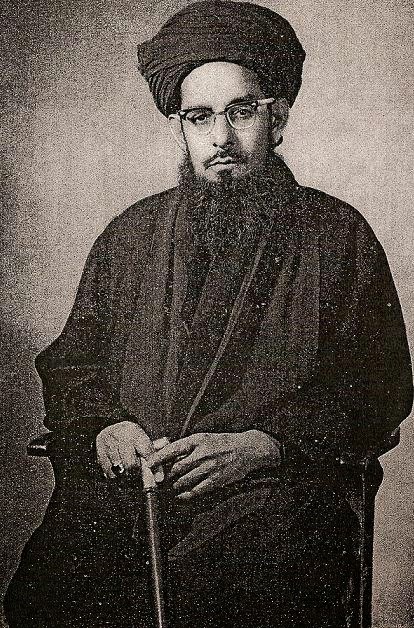 Dr Sir Zaiuddin, the celebrated mathematician and vice chancellor of Aligarh Muslim University said on 11th August 1945: "I have great pleasure in testifying to the character and attainments of Mr Hafiz Fazlur Rahman Ansari who has made his mark as a scholar of exceptional talent and ability". From 1933 to 1947, Maulana remained in Aligarth, and as an undergraduate student, he used to read five hundred pages of literature a day to broaden his knowledge in all fields of study including medicine. On 29th September 1966 he was registered as an authorised Practitioner of Homeopathy. In 1970 he obtained his PhD under the supervision of Dr M.M. Ahmed, Chair person of the Department of Philosophy, University of Karachi. His topic was The Islamic Moral code and its Metaphysical background. One of the external examiners commented: "It is, indeed, a comprehensive account of the moral code provided by the Quran, a like of which, to my knowledge, has not been formulated with such extensiveness by anyone in the history of Muslim literature". In 1935 Maulana Abdul Aleem Siddiqui (ra) was disturbed by an article written by a Christian priest located in Singapore. The article maligned Islam, and Maulana Ansari (ra) responded to it. Maulana Siddiqui (ra) was extremely happy with this reply, and since then that special bond of love between them developed. In 1936 this bond was further cemented when Maulana Abdul Aleem (ra) gave his eldest daughter to him in marriage. In the very next year, Maulana Abdul Aleem Siddiqui (ra) wrote a letter stating that none of his sons , being still then at tertiary school, are in a position to carry on with his missionary work, and that his one capable student, appears to have forsaken him. On reading this letter, tears flowed freely from Maulana Ansari (ra) eyes. To this day, that tear stained letter stands testimony of the love and loyalty he had for his eminence Maulana Abdul Aleem Siddiqui (ra). 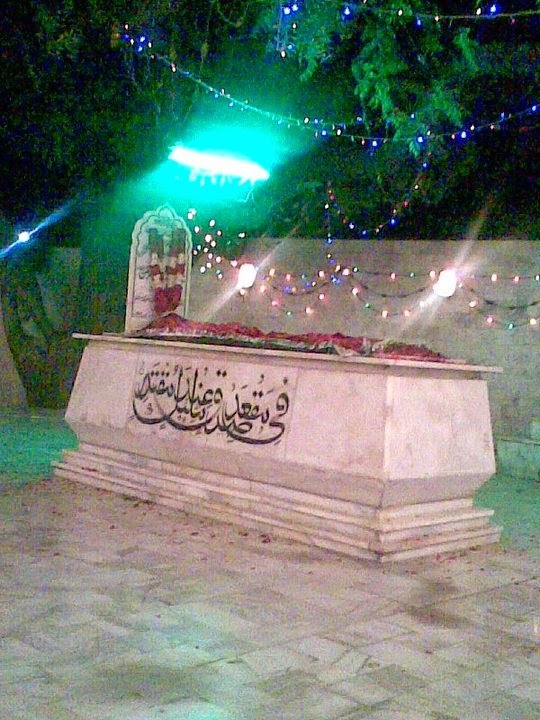 Since then Maulana Ansari (ra) became a murid (spiritual disciple) of Maulana Siddiqui (ra) and the former was initiated into the Sufi orders, including the Qadariyyah, Chistiyyah, Naqshabandiyyah, Suhrawardiyah and Shadhiliyyah. At the haram, near the Kaâbah, Maulana Abdul Aleem (ra) transmitted to his son in law the ijazah (authority) in all spiritual matters. Since then Maulana Ansari (ra) became Maulana Siddiqui (ra) right hand man in all Islamic missionary activities. 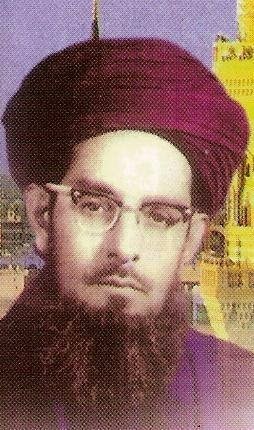 Thus Maulana Ansari (ra) travelled the world in the service of Islam; most notable was his historic visits to South Africa in August 1970 and to Seychelles in December 1970.
al-Fatiha to the noble soul of Dr. Fazlur Rahman Ansari and may Allah grant him the highest companions and highest station in the Paradise. Ameen. Shaykh Imran N. Hosein is a direct student and successor of Dr. Fazlur Rahman Ansari and the works of Shaykh Imran N. Hosein can be found at his official website: ImranHosein.org and ImranHosein.com. Also a collection of his teaching videos can be found at Ilm Akhir al-Zaman website.